As a vessel maker, I have always been attracted to interior volumes, and their power to entice a viewer to touch and explore. I use subtle curves and relaxed lines to create objects for contemplation and use. The acts of conveying sustenance and of personal intimacy are characteristics of functional pottery that interest me, and I convey those ideas into my current work to heighten a sense of intimacy and accessibility. 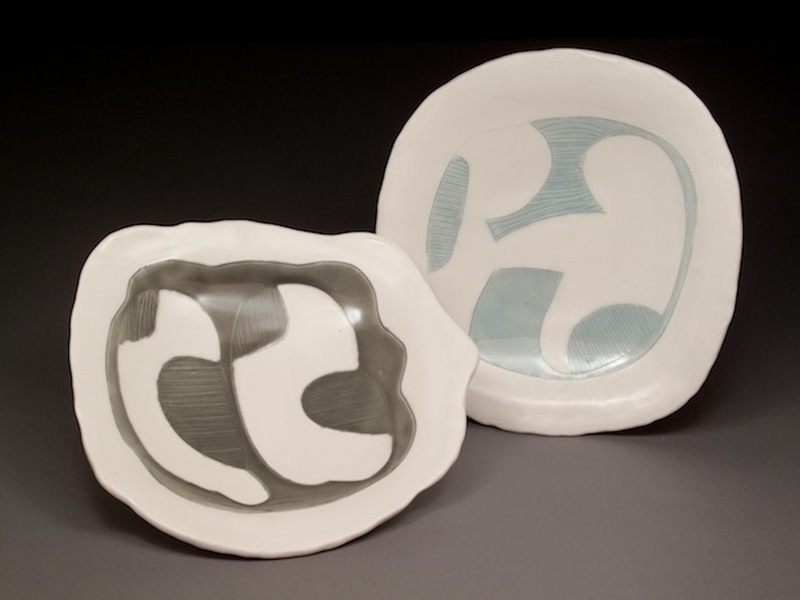 The formal characteristics of my pieces are derived from human bodies, from contemporary tableware, and from the visual ergonomics of food service. I have looked to these sources of inspiration because I want my work to simultaneously reflect notions of expansion and comfortable containment. I approach the presentation of my work from the daily activities in the home and kitchen. I design my pots so they are activated and completed by the plating of food. With a simplistic sensibility, my work attempts to share the plate with the food, not compete for space. 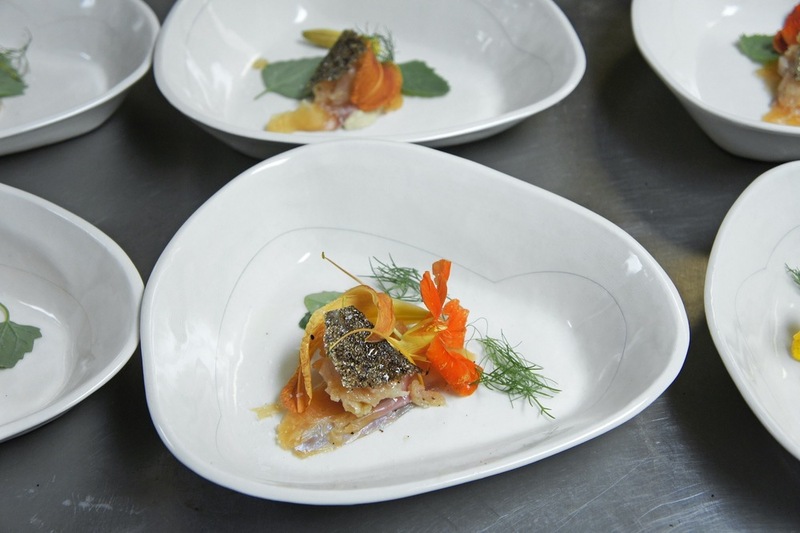 My desire to bring an audience together with food and functional pots led me to coordinate dinner collaborations with chefs and like-minded potters. These events brought me to where I am today, designing objects with sensitivity for the hand made object, from a background in craft unique and vital to the future of studio ceramics. I attended the Rhode Island School of Design and received a BFA with a focus in clay. After 2 years of doing post-baccalaureate studies, I began working for Silvie Granatelli in 2005. I then went to the University of Nebraska-Lincoln, and received my MFA in 2010. My first daughter, Mena, was born during the last year of my studies. My husband and I were granted a one-year residency at the Appalachian Center for Craft in Smithville, Tennessee. We developed a way to work together in the studio during this time. He was then granted a three-residency at the Penland School of Crafts in Penland, NC. Our second daughter, Louisa was born during the first year there. Currently, we are setting up our studio and home in Floyd, Virginia.